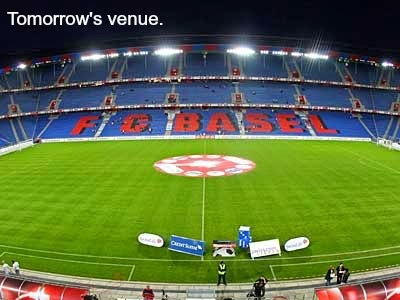 Liverpool prepare for their second Champions League fixture of the season on Wednesday night as Brendan Rodgers will pair his XI up against Basel's. 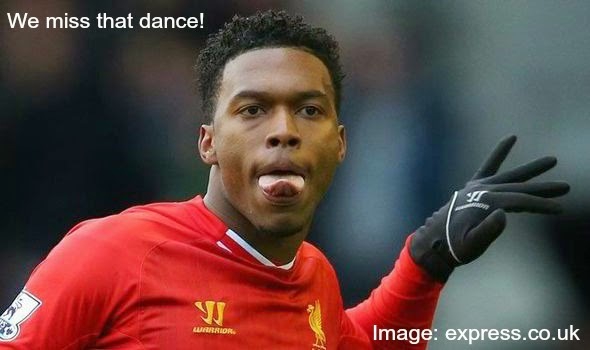 Unfortunately for the Reds Daniel Sturridge is still unavailable through injury whilst Mamadou Sakho has not made the line up also due to injury but perhaps also down to his antics prior to the Everton game. Also on the injury list for Liverpool are Johnson, Flanagan, Can and Allen. For Basel they are without Diaz who is serving a suspension and Ivan Ivanov (no that's not a typo) is also unavailable as a long term absentee. Finally ex Red Philip Degen is also out with a foot problem. It was yet another rather frustrating afternoon at Anfield as Liverpool had to settle for a draw in the Merseyside derby. In a game that the Reds probably had the lion's share of, Everton didn't know when to give up and a simply sublime strike from Jagielka late on left the home side gobsmacked. Sturridge despite the rumours was not fit enough to start from the bench and instead watched on from the stands. 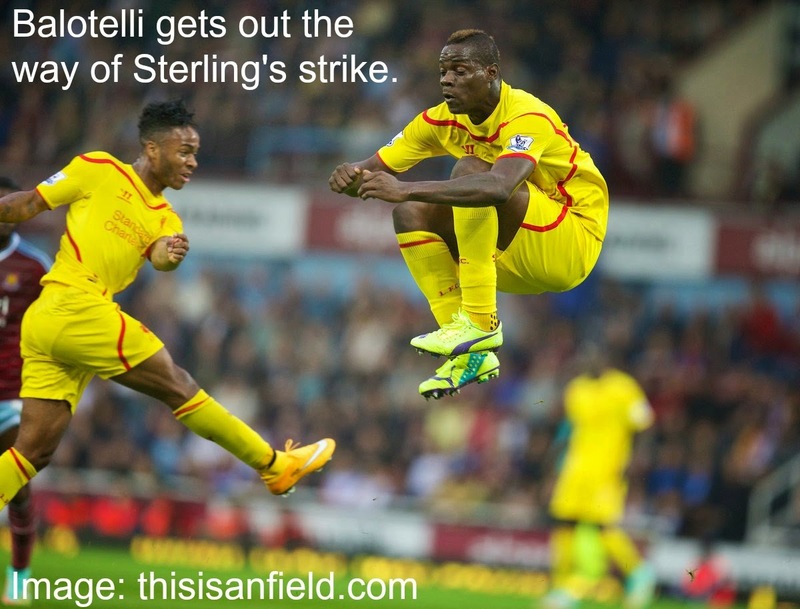 It was Balotelli up front for Liverpool and a surely knackered Raheem Sterling in an attempt to keep that much needed spark. The first incident of the game occurred just after a minute when Gareth Barry made a very bad challenge on Adam Lallana and was booked in the process. It's common for crunching tackles to come in early on in a derby and so this was not surprising. Barry's continuation of risky play however was a bit shocking. After a mammoth session midweek against the might of Middlesbrough the Reds will be hoping things run more smoothly against bitter rivals Everton on Saturday. However, with a run of poor form recently and a real shaky defence, Everton are probably the last team Brendan Rodgers wants to be facing this weekend. Injuries for Liverpool mean they are without Allen, Can, Johnson and Flanagan whilst Coutinho, Henderson and Sturridge will be subject to late fitness tests. Everton are at a relatively good strength however Roberto Maritinez is unable to call upon Ross Barkley. Pienaar and Coleman could return to the bench. Everton are currently 14th in the league on five points. The Toffees may always be a tough game for Liverpool but positively in the run up to this Derby they have only managed to win one of their last five league games, letting in 13 goals in the process. After a somewhat dismal week for Liverpool, manager Brendan Rodgers will be hoping his side can pick themselves up and progress past Middlesbrough in tomorrow night's league cup tie. The two sides have met on numerous occasions and were last drawn against each other in this competition back in 1998! Liverpool are still in a bit of a rut with injuries however and with a Merseyside derby to contend with at the weekend it is expected that Brendan will pick an unfamiliar line up anyway. 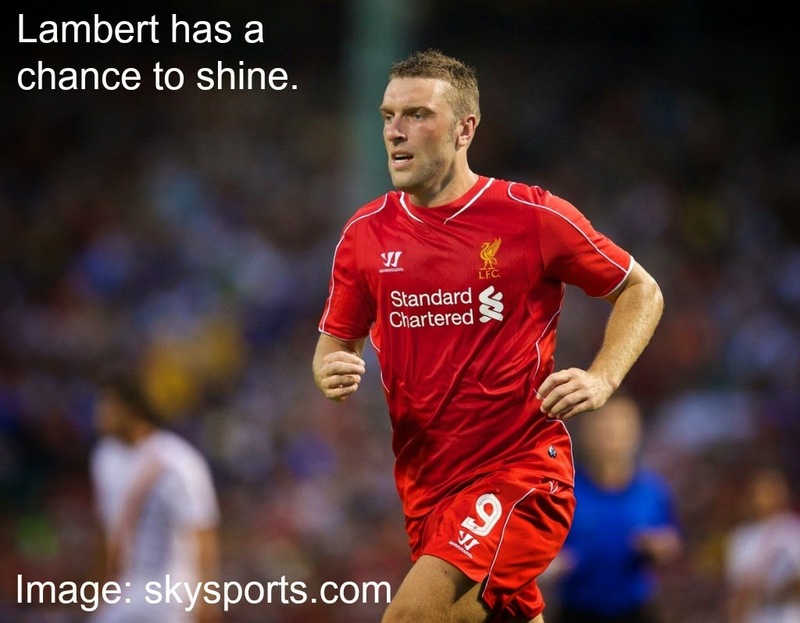 Rickie Lambert is predicted to get his first start in a Liverpool shirt. For Middlesbrough they are without Whitehead who is serving a suspension but ex Red Daniel Ayala is available after serving a ban himself. Liverpool fell to a 3-1 defeat at the hands of Sam Allardyce's West Ham team on Saturday after a ruthless start from the home side. The Reds barely had chance to compose themselves before the Hammers found the back of the net and things quickly went from bad to worse for Brendan Rodgers' side. It took just over a minute for West Ham to get the game underway. A free kick from ex Red Stewart Downing was whipped into the box. Tomkins at the far post headed it back across goal and Winston Reid with another header from close range put the home side in front. 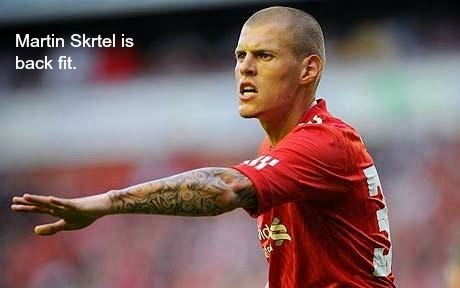 The Liverpool defence were all over the place. It's not a recent problem either but with the reintroduction of Martin Skrtel it was hoped he would add some stability however it was clear this new back four were still learning how to work together. Liverpool travel to London on Saturday evening as they aim to thrive off their Champions League win over Ludogorets earlier in the week. Brendan will face Sam Allardyce's West Ham side who currently find themselves 13th in the league. The injury list for Liverpool is still a pretty long one. Missing from action are Sturridge, Allen, Johnson, Flanagan and Can. West Ham are also without some key players as Carroll, Nolan and Jarvis are all unavailable. The last time the two sides met was in April this year. 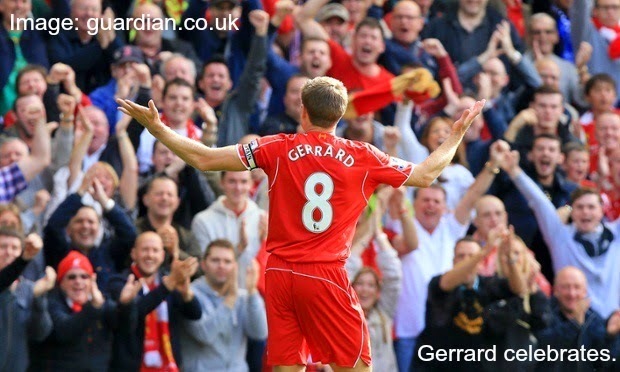 Two penalties from Steven Gerrard saved the day in a vital fixture for the Reds who were right in the midst of a title race. I was on a flight from Manchester to Budapest when this game was on, it was absolute agony not knowing the score, when I landed I had a text from my brother just saying 1-1, luckily just before I could start balling another one came through saying 2-1 FT! It was a difficult night at Anfield for Liverpool as the Reds prepared to return to the magic of the Champions League in front of a rousing Kop. Brendan Rodgers said pre match that he would treat Ludogorets as if they were Real Madrid and it's a bloody good job he didn't expect this match to be a walk in the park! It was a poor start to the tie from Liverpool who initially just looked as though they were settling in to the game. However the Reds never seemed to reach full stride and as the clock ticked on, the visiting Bulgarians became more and more confident. 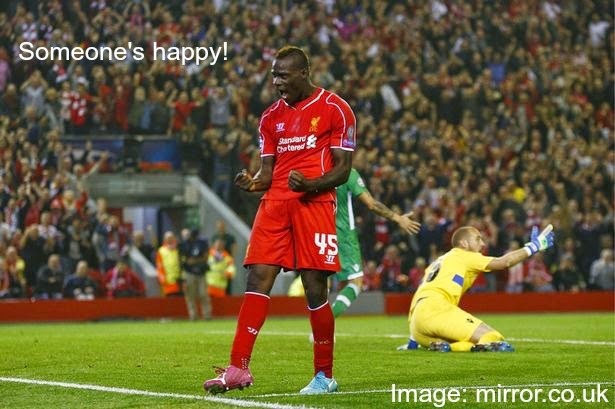 Liverpool offered little in front of goal despite having the likes of Balotelli, Coutinho, Lallana and Sterling on. Ludogorets were dealing well with any pressure and causing trouble by attempting to counter attack. A few half chances early on for Liverpool from Sterling and co quickly fizzled out and it became clear that this was going to be a slog of a game for Brendan's side. Liverpool fell to a 1-0 defeat at Anfield on Saturday after Paul Lambert's Villa side found an early goal and protected their lead. With Sturridge missing and Sterling rested, Brendan Rodgers opted for a very different team and a very different set up for this fixture and unfortunately it just didn't work out. The Reds began the game in a slow fashion. There was no real sense of urgency from the lads and for me the set up lacked balance. With the likes of Markovic, Coutinho, Lallana and co all jostling to collect the ball and push forward, it just felt like nobody was on the same page and this was immediately noticeable. Balotelli leading the line for me was always going to be an issue because he's just not that sort of player, he needs support which is why the missing Daniel Sturridge is a bigger problem than just us lacking his goal tally. 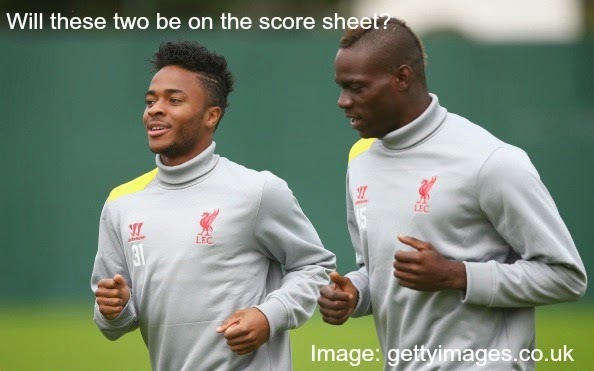 Balotelli Main Man In Villa Game? Liverpool face Aston Villa at Anfield on Saturday after an international break that created an injury scare for Jordan Henderson and left Daniel Sturridge unable to feature for the Reds for three weeks. 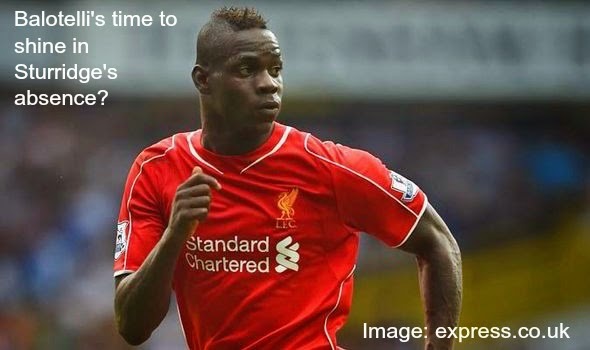 With Brendan seething at England officials believing the striker's injury was preventable, it is now down to Mario Balotelli to lead the Liverpool line. 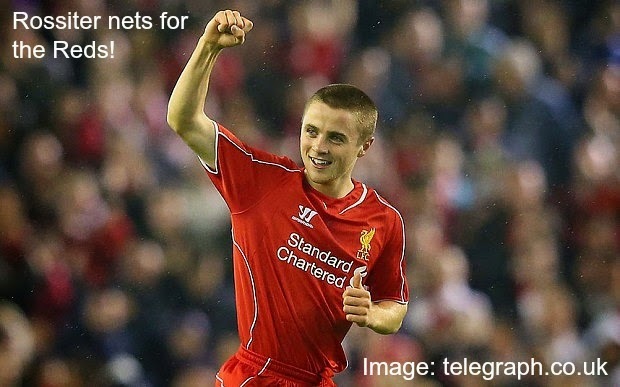 Along with Sturridge, Liverpool are also unable to call upon Skrtel, Johnson, Flanagan and Can. Joe Allen will be subject to a late fitness test. Aston Villa on the other hand are relatively strong with only Benteke and Kozak out. The last time the two sides met was in January this year. The tie at Anfield finished in a 2-2 draw after Villa initially dominated the game finding two goals in just over half an hour. 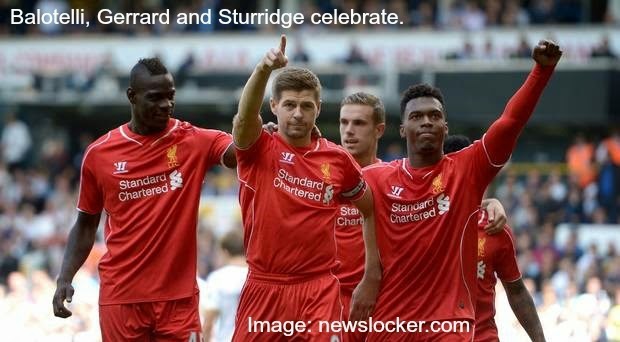 A goal on half time from Daniel Sturridge though was followed in the second half by a Steven Gerrard penalty. Liverpool served up another hammering for Tottenham Hotspur on Sunday as the Reds found the back of the net on three occasions with no return from the home side. All eyes were on Mario Balotelli from the off but it was Sterling, Gerrard and Moreno who got themselves on the score sheet. The Reds did not take long at all to get into the game and trouble Hugo Lloris. An early move from Liverpool saw a cross from Daniel Sturridge travel all the way to Mario Balotelli, his header was saved much to the dismay of the travelling Kop. I really, really wanted that goal to go in as it would have been brilliant for Mario to score in his first game but it just wasn't his day goal wise.